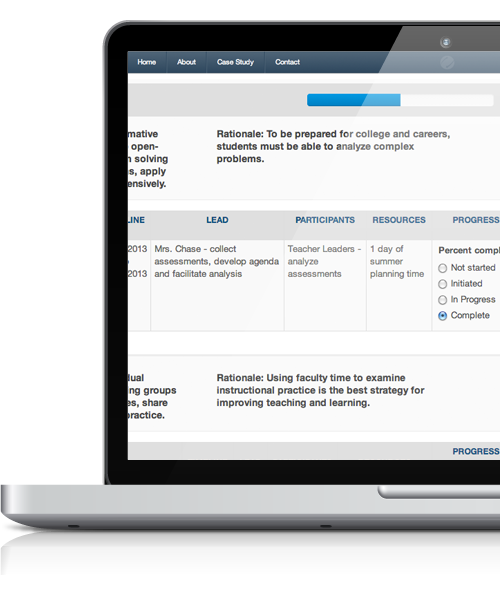 iWalkthrough Action Planning enables schools to take concrete steps to improve student learning. 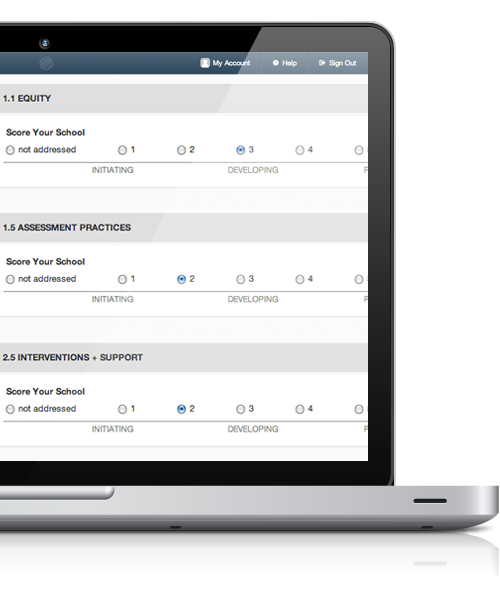 The tool follows our cycle of action, based on international research on how the best schools and districts improve. 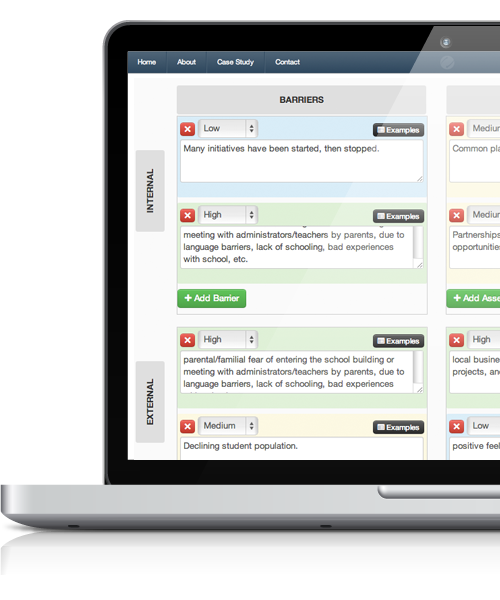 Unlike many action plans that are painstakingly written, and then collect dust on the shelf, iWalkthrough Action Planning guides users through a process that will make school improvement important to everyone. with our internationally benchmarked school self-assessment, Global Best Practices. Every school has assets and barriers to moving forward. Use Action Planning to help identify a schoolâ€™s internal and external strengths and challenges. 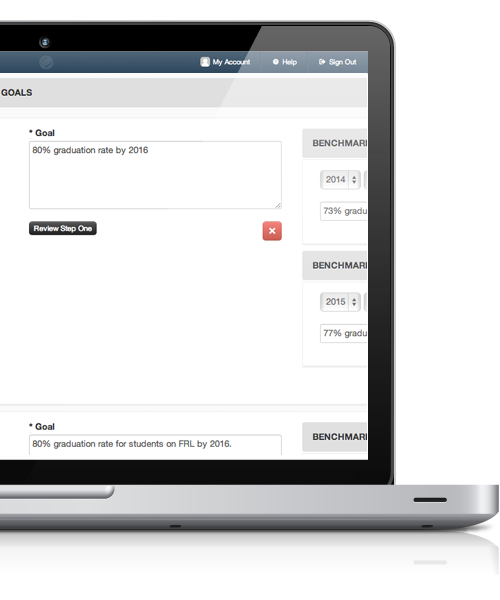 Our action plan template helps your school focus on a specific number of goals and the high-leverage strategies to achieve them. Periodically assess your progress on the action plan. This provides the opportunity for on-going dialogue and participation in the action plan from teachers, administrators, students, parents and community members.